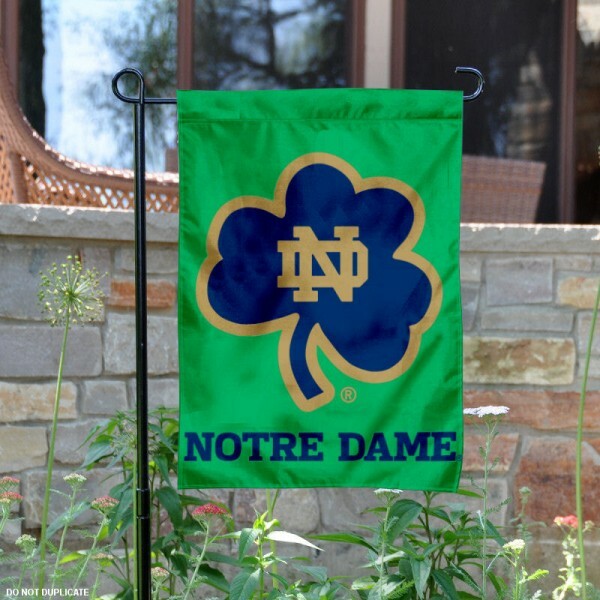 The Notre Dame Fighting Irish Shamrock Logo Garden Flag is a great way to display your team spirit in your yard, front entranceway, mailbox, porch, or windows. The college garden flag hangs vertically, measures 13x18 inches, and provides a top sleeve for insertion of your garden flagpole or stand. Our Notre Dame Fighting Irish Shamrock Logo Garden Flag is made of 2-ply 100% polyester, has a liner sewn between the layers, and is screen printed with the University of Notre Dame logos and lettering as shown. Since our Notre Dame Fighting Irish Shamrock Logo Garden Flag is 2-ply constructed, the college insignias are viewable and readable correctly on both sides. 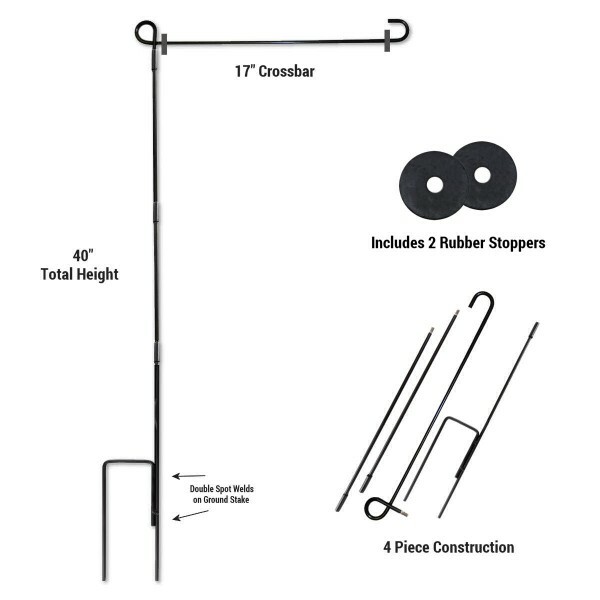 Hang this Notre Dame Fighting Irish Shamrock Logo Garden Flag with our Garden Flag Stand, Mailbox Flagpole or Window Hanger.